For a cozy bedroom that seems to welcome you home with open arms, choose this classic, rustic bed. 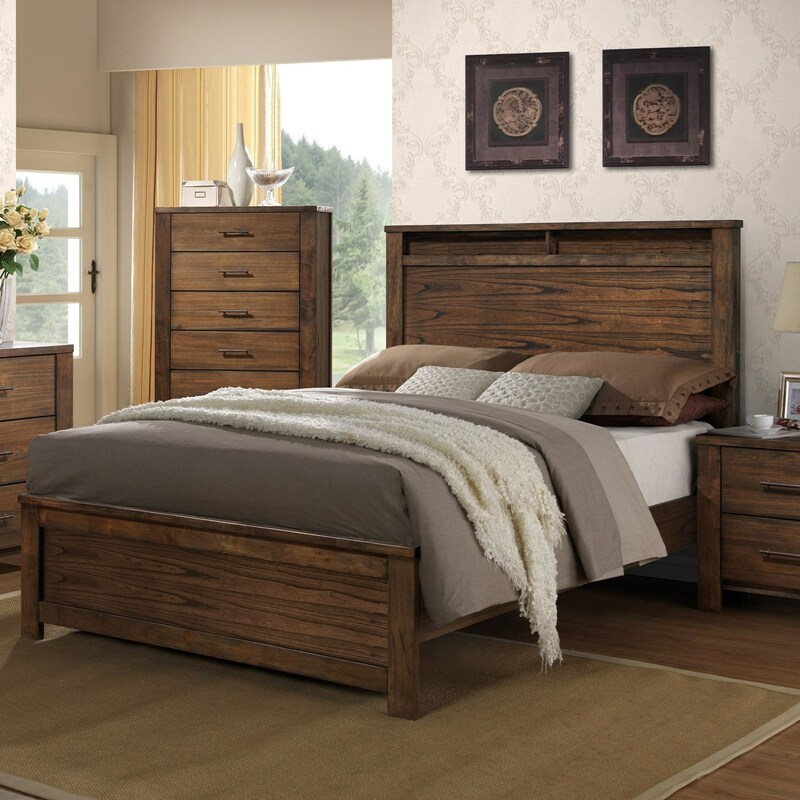 The bed is constructed with beautifully distressed Mindi wood veneers and features a 2-shelf display headboard. The Brayden Rustic Queen Size Bed with Headboard Shelf by Progressive Furniture at Northeast Factory Direct in the Cleveland, Eastlake, Westlake, Mentor, Medina, Macedonia, Ohio area. Product availability may vary. Contact us for the most current availability on this product. B104-78 5/0-6/6 Rails 1 1" 81" 6"
B104-36 5/0 Queen HDBD/FTBD 1 63" 3" 56"
This casual, rustic bedroom is versatile enough for a cozy guest bedroom, boys or girl's bedroom, or even your master suite. Dovetail drawers and metal drawer glides ensure long-lasting, serviceable storage furniture. The Brayden collection is a great option if you are looking for Transitional furniture in the Cleveland, Eastlake, Westlake, Mentor, Medina, Macedonia, Ohio area. 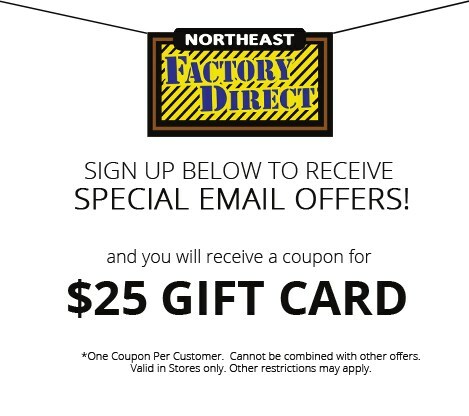 Browse other items in the Brayden collection from Northeast Factory Direct in the Cleveland, Eastlake, Westlake, Mentor, Medina, Macedonia, Ohio area.